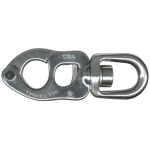 provide ample room for attaching a line while keeping weight and overall shackle length to a minimum. Ideal for halyards and sheets. 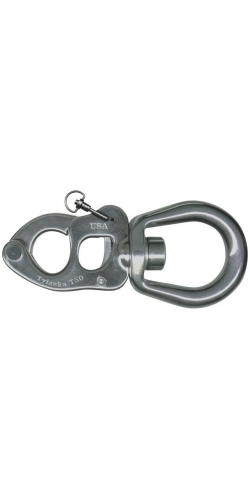 Tylaska T12 Snap Shackles are perfect for applications requiring high strength and low weight. 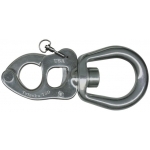 They have a breaking strength of 12,000 lbs and weigh only 5.6 ounces in the standard bail configuration. 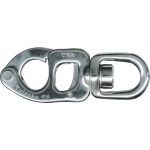 Ideal for 30 to 45 foot boats. 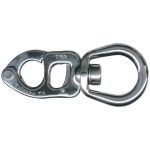 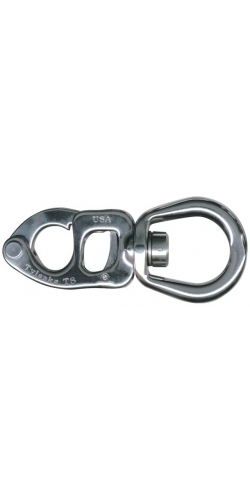 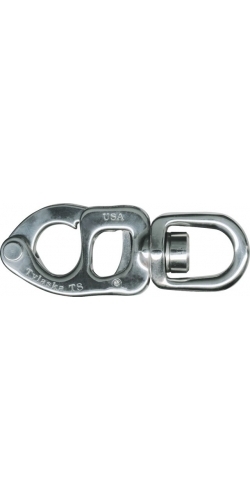 The T20 is a larger shackle designed for mid to large sized boats. 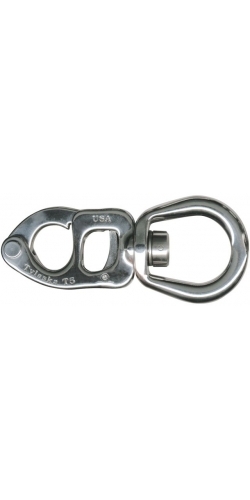 They are popular on the America's Cup racing circuit. The T-20 has a breaking strength of 20,000 lbs. Standard bail configurations weigh only 11.9 oz. 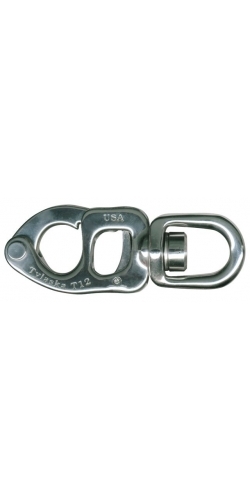 Ideal for 40 to 70 foot sailboats. 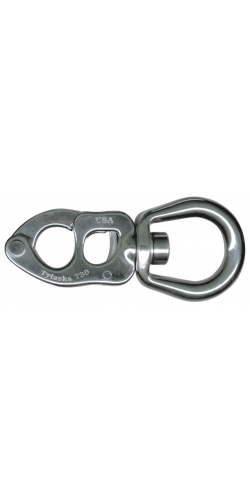 Tylaska T30 is designed for large sailboats that need to support strong loads. 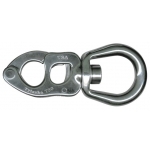 With a breaking strength of 30,000 pounds, this shackle can handle sail loads on the largest of sailboats. 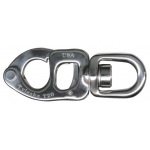 A number of around-the-world racing teams utilize the T30. 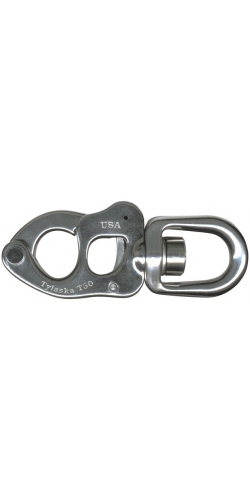 Tylaska T50 Snap Shackles are the largest trigger-type snap shackle ever made. They can be opened using either a trigger or lanyard. 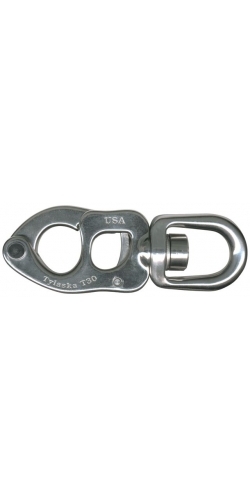 A lanyard allows for remote operation - ideal for towing applications. 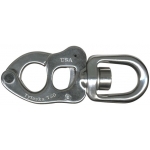 The locking pin provides extra security from accidental release.